Benefits: Reduce energy costs and improve home comfort by managing your heating and cooling systems remotely. Consider it when: Remote access to your heating and cooling systems will help you improve comfort and manage utility costs. 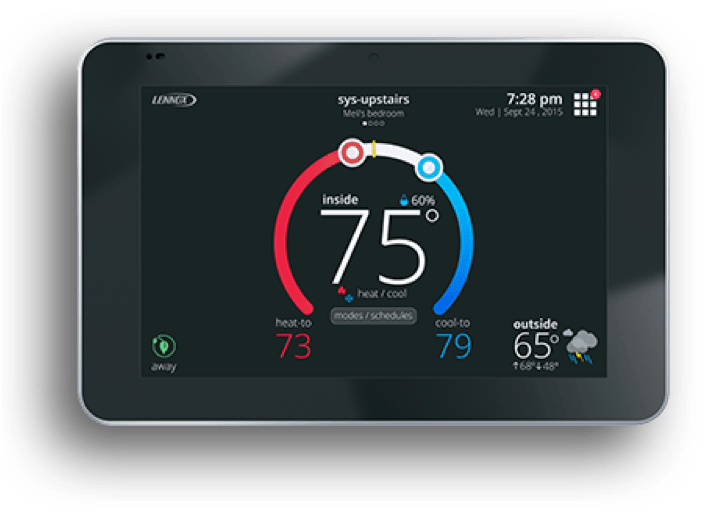 Programmable Thermostat – Save as much as 10% per year on heating and cooling bills by automatically turning your thermostat back 7°-10°F for 8 hours a day from its normal setting. 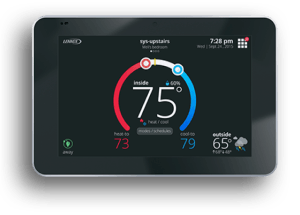 Control your heating or cooling system from any computer, Smartphone or tablet. Easy-to-use app for Apple and Android devices streamlines access. Accurate to +/- 1°. Consider it when: You want to reduce energy draws associated with little- or under-used rooms. 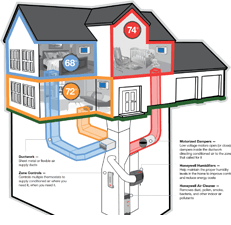 Home temperature zoning is highly effective for homes with multiple levels, rooms with large windows, large open areas, rooms with exposed concrete, or those with areas that prove to be difficult to keep warm or cool. Honeywell TrueZONE ® Zoning Panels – Easy to use, contractor-installed zoning panels allow you to manage up to 4 zones, 3H/2C systems. Download HB McClure’s Convenience & Technology brochure.